Ava Marie DuVernay (born August 24, 1972) is an American director, screenwriter, film marketer, and film distributor. 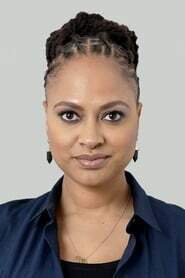 At the 2012 Sundance Film Festival, DuVernay won the Best Director Prize for her second feature film Middle of Nowhere, becoming the first African-American woman to win the award. For her work in Selma (2014), DuVernay was the first black female director to be nominated for a Golden Globe Award. With Selma, she was also the first black female director to have her film nominated for the Academy Award for Best Picture, though she was not nominated for Best Director. In 2017, she was nominated for the Academy Award for Best Documentary Feature for her film 13th (2016).